Steam is awash with generic first-person horror games, so I was surprised to discover a title that does something genuinely different with the formula. More so because I stumbled across it entirely by accident, having received a game key as part of a free giveaway. True, Kraven Manor may not be the most terrifying game around, but it harboured enough surprises to keep me playing and never outstayed its welcome. 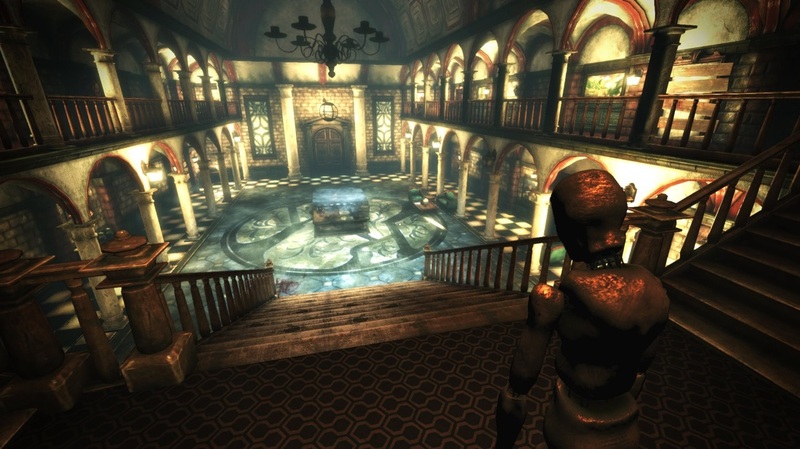 Kraven Manor is ostensibly a first person horror game, taking place in the titular domicile which shares the architectural sensibilities of Resident Evil's Spencer Mansion. Your own identify is never disclosed, but you find yourself trapped in the manor and have to survive to see the dawn, with only your wits and a flashlight to defend yourself. Matters are further complicated by the presence of the building's other inhabitant, an animated bronze statue whose primary raison d'être is to divorce your head from your shoulders. Granted none of that sounds spectacularly original, and I admit that I was inwardly groaning at the prospect of yet another gloomy object hunt, pursued by an implacable and unstoppable foe, something that has been done dozens of times before. My cynicism started to started to evaporate, however, when I first encountered the foe in question and realised that the designers had taken inspiration from Doctor Who's Weeping Angels, creating a monster that couldn't move when it was being observed. Granted, Kraven Manor isn't the only game to utilise this approach, but it's relatively well executed here. 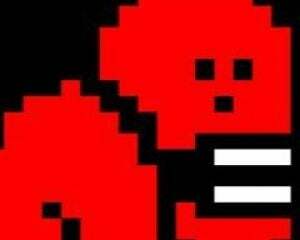 I often felt like I was juggling plates, having to carefully divide my attention between the solving the game's switch-based puzzles and keeping one eye on my foe. This in turn made success all the sweeter, giving me a sense of genuine accomplishment as I retreated to the safety of the manor's main hallway, trophy in hand. Yet trophies in question are not mere tokens, nor are they the written recollections of the manor's previous inhabitants, though there are enough of those scattered about to relay the game's storyline. 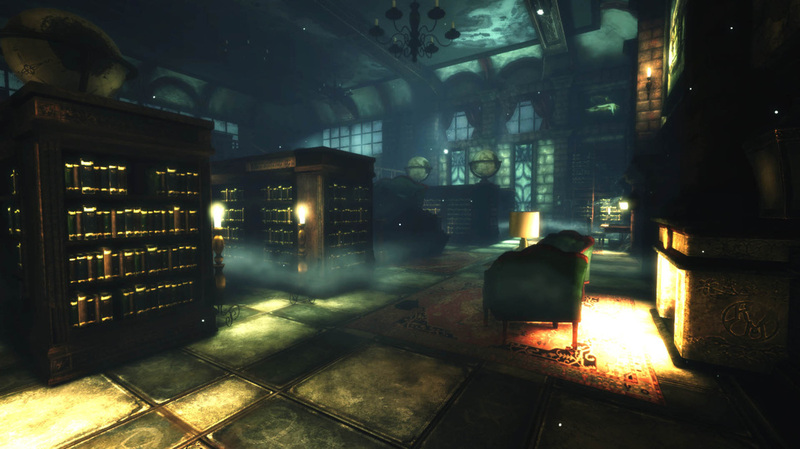 The items you collect – one from each of the manor's rooms – are integral to Kraven Manor's central feature, a mechanic which remains one of the most original features I've seen in any game. 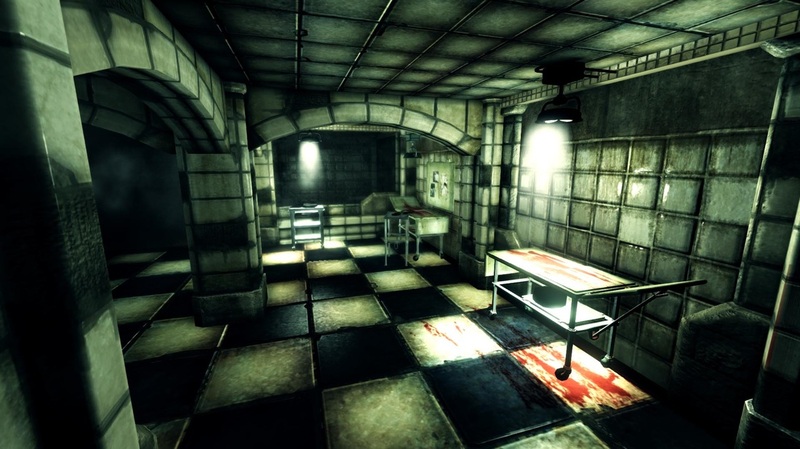 As you complete each location, you pick up a small-scale model of another room which can then be placed upon the model table in the middle of the hall. This in turn grants you access to other areas. This may not appear to be a particularly innovative feature, and I too initially made the mistake of viewing the scale models as being nothing more than glorified keys. But it wasn't until I was a quarter of the way through the game's relatively short duration that I realised their significance. The manor's doors are locked because there's nothing on the other side. It's only when you place a room on the model table that the room in question appears and the door can be opened. Furthermore, a room can be attached to any of the hallway's four doors, meaning you can have a wine cellar appear on the top floor, or access the attic from the ground floor. I experienced a child-like rush of joy when I discovered this and spent a good ten minutes just moving around the rooms around, grinning like an idiot and listening to the rumbles as the rooms re-arranged themselves. 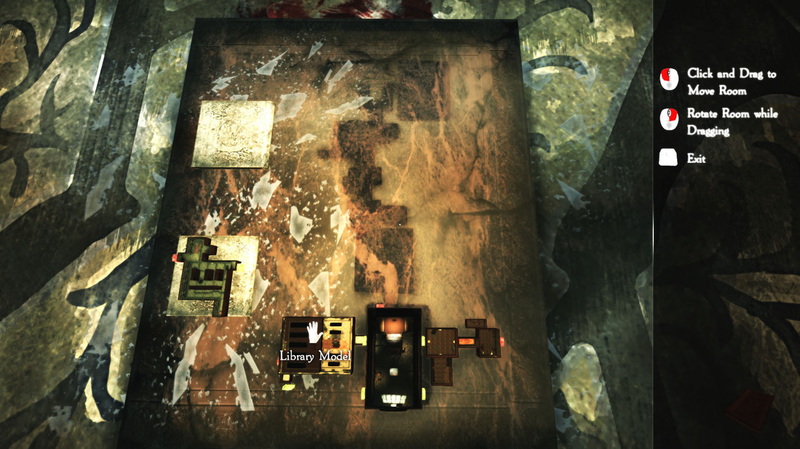 Gleeful idiocy aside, the game sometimes requires you to arrange rooms in a certain configuration in order to complete an area. I was stymied as to why I couldn't progress any further into the game until I realised that I could gain access to an area's balcony by rotating the room and attaching it to another door. Far from being frustrated, I felt a sense of satisfaction at having figured this out. The game's subsequent puzzles also presented a significant yet never insurmountable challenge, evolving from simple lever pulling puzzles into more complex affairs. Truth be told, I found myself gaining more enjoyment from successfully completing the puzzles than I did from evading my metallic nemesis. That's not to say that the statue-dodging segments ever became irritating, but they never really terrified me, largely because I knew I could return to the safety of the main hallway. In fact, I feel that the makers of Kraven Manor - who, astonishingly enough, were students at the time - would have better off focusing more on the puzzle and room-shifting elements of the game and dialling back the horror elements. I'd happily pay to play a sequel where this was the case. If you're looking to be scared out of your skin, this won't fit the bill, nor is it a particularly long game. But I enjoyed my time in Kraven Manor and could see myself paying this dismal domain a second visit.